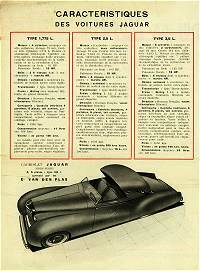 These were produced as a four-door saloon and as a drop-head coupe, both seating five. The 1-1/2 litre cars are somewhat smaller than the 2-1/2 and 3-1/2 litre cars. The early 1-1/2 litre engine was a side-valve four, later an OHV four replaced it. The 2-1/2 and 3-1/2 were the same OHV sixes as used in the SS-100. 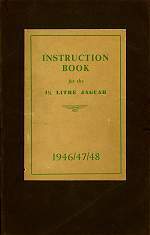 The 1935-37 models had a single fender mounted spare tire, the 1938-40 models had the tire under the boot in a compartment. The radiator shell has vertical chrome bars. The front sidelights on early cars are a separate chrome unit, but on later cars were done by welding a pod onto the fender and blending in with lead. Horns are generally visible, mounted on the bumper or under the headlights. Some cars have foglights. The door handles are below the chrome side trim on early cars, but in line with the trim on later cars. The tires are 18" rim diameter with wire spoke wheels, with the chromed knock-off hub having the SS logo. The optional Ace discs covered the spokes to give the appearance of disc wheels. There were a few special bodies done by various other coachbuilders including Graber, Saoutchik, Beuttler, Van den Plas and a Mulliner divided limousine for Standard's director Sir John Black. 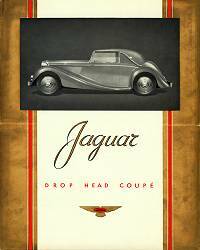 Mechanically these are the same as the pre-war saloon range and were produced in saloon and DHC form. 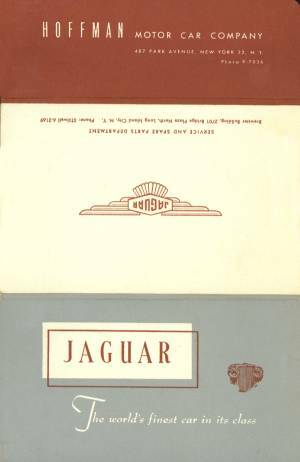 The 2.5 and 3.5 engines were now produced by Jaguar, Lyons having bought the tooling from Standard, who continued to supply the 1.5 engine, making it the last Jaguar to be built with an outsider engine. 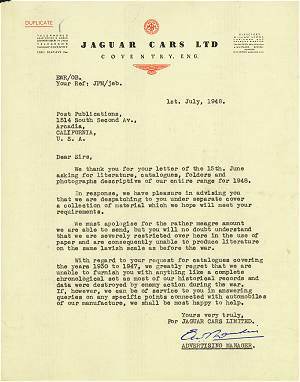 The designation 'Mark IV' first appeared officially from a Jaguar source in 1964 in the USA and is commonly used to identify these models, even if not ever actually used as a genuine model name. Visual differences between these and the pre-war SS Jaguar saloons are very minor. The radiator badge reads "Jaguar" with the engine size, the SS logo having been eliminated. The badge in the center of the rear bumper is a "J", replacing the "SS". The tires are 18" rim diameter with wire spoke wheels, and optional Ace discs covered the spokes to give the appearance of disc wheels. 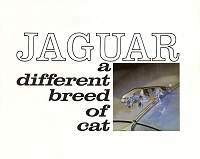 The wheel knock-off hubs also say 'Jaguar' rather than 'SS'. 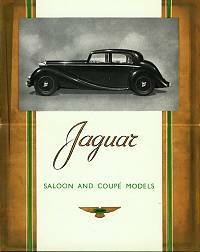 A brochure released in early 1945 (not shown here) around the time of the name change of SS Cars to Jaguar Cars still showed 'SS' on the spinners. It was withdrawn very quickly and never reissued so only a few copies are now known to exist. Two are in private ownership and another is in the National Motor Museum at Beaulieu, UK. .